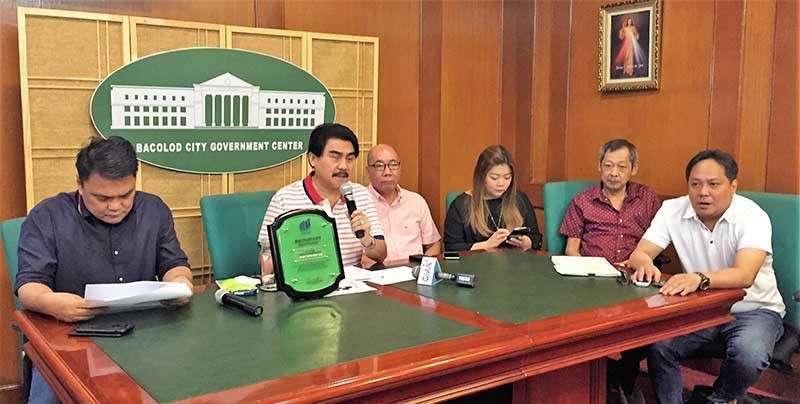 This was the reaction of acting Bacolod City Mayor El Cid Familiaran on Tuesday, January 22, after a civil complaint involving the P1.7 billion loan was filed against him, and other city officials including Mayor Evelio Leonardia. Other respondents were Councilors Caesar Distrito, Cindy Rojas, Renecito Novero, Em Ang, Elmer Sy, Ana Marie Palermo, Dindo Ramos, Bartolome Orola, Sonya Verdeflor, Lady Gles Gonzales-Pallen, and Ayesha Joy Villaflor; City Council Secretary Vicente Petierre III; City Treasurer Giovanni Balalilhe; City Budget Officer Maria Imelda Williams; City Accountant Corazon Cardel; and DBP Negros Occidental Lending Center head Bernardo Catillion Jr.
Familiaran said they complied with all the requirements and they will leave it to the court to decide, as they remained confident that the case will be dismissed. “It’s their right to question us, it’s all about politics. Just make your campaign and present your programs and let the people to decide,” he said. On July 18, former vice mayor Jude Thaddeus Sayson, former councilor Jocelle Batapa-Sigue, and businessman Antonio Wong filed the civil case for certiorari, prohibition, and annulment of contract with a prayer for a temporary restraining order, preliminary injunction, and/or preliminary mandatory injunction. Councilors Ricardo Tan, Wilson Gamboa Jr., and Claudio Puentevella were not included in the case because they opposed or abstained on the approval of the loan. 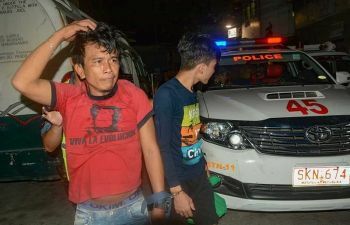 Lawyer Cesar Beloria, Jr., spokesperson of the complainants’ legal team, earlier said there was no invitation to the public, no publication or information of this very important affairs. After the meeting on November 26, which was deceivingly called a public hearing because the public was not even notified, Distrito immediately endorsed to the city council secretary, a five-page committee report outlining the discussions regarding the proposed loan agreement and continuing deed of assignment during the so-called public hearing, he said. He said they would like to annul the contract between the Development Bank of the Philippines (DBP) and the city government, and has sought a temporary restraining order and the preliminary injunction not to release the funds. If the funds were already released, they are seeking for a preliminary mandatory injunction to return the funds to DBP. Distrito, for his part, said the injunction case filed by the Magbinuligay Kita Para sa Kauswagan candidates to stop the loan for various flagship projects of the Leonardia administration is purely politicking and meant to delay and stop the developments of the city. “The law does not require a public hearing, the votes required are only eight, being the majority of all members, and no publication is required in this kind of ordinance. Still, we called for a public hearing where the public was invited and even announced it in the media so that anybody interested can participate and will be given the chance to be heard, and still nobody among the opposition attended it despite such notice and knowledge,” he said. He added the votes was even more than eight, as it got 11 votes from him Councilors Rojas, Novero, Ang, Sy, Palermo, Ramos, Orola, Verdeflor, Gonzales-Pallen and Villaflor. In December 2018, the city council ratified the term loan agreement and continuing deed of assignment with a hold-out agreement between the city government and DBP involving the P1.7 billion loan to fund the city’s flagship projects. These projects are Progreso Village Relocation Site with the budget of P350 million; Bacolod City College Site Development and Facilities, P350 million; Bacolod MassKara Coliseum, P800 million; and the construction of roads and bridges, P200 million. Ramos said there are no procedural flaws since all the processes and requirements needed were followed as they had debated the same since July of last year when they authorized the Mayor to negotiate with the Department of Finance and any other government financing institutions. “We also had passed numerous resolutions in several sessions, and painstakingly discussed the merits and demerits of the said loan. In short, it took us more than six months until this time that we had all this tackled and debated upon in the SP,” he said. 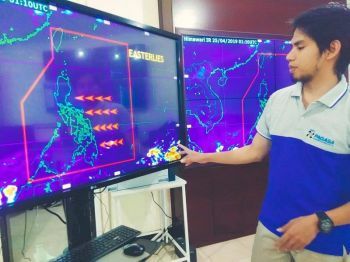 Novero also explained that as early as 2017, all the projects had been studied by various bodies such as the BCC Board, the Local Housing Board, the City Development Council and the City Engineer’s Office, and was subsequently ratified by the City Council. “The opposition councilors even voted in favor of those resolutions. And rightly so, because the improvement of BCC (Bacolod City College) will benefit thousands of poor, young but deserving students of Bacolod City. And the improvement of our relocation site will benefit thousands of informal settlers in the city. In other words, these projects are pro-people. Opposing them is to go against the welfare of Bacolodnons,” Novero said. Ang, meanwhile, stressed that the loan has a very noble purpose and beneficial to the city. “Just because our term of office is ending in a few months, does not mean that we do not participate in passing important legislative measures especially those that will redound to the benefit of our constituents. 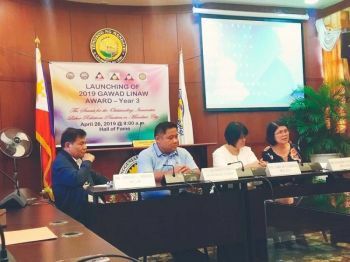 The development of the relocation site will benefit thousands of informal settlers, remove illegal structures and provide them conducive, more humane and livable homes at the Progreso Village Relocation Site,” Ang said. “The construction of additional buildings and facilities and the BCC will allow more young Bacolodnons access to affordable, quality education. Why would I oppose these noble projects? Political visions have to be carried out at a cost and cannot remain as mere slogans or campaign propaganda,” Councilor Em Ang added. Rojas also explained that BCC will now solve the issue of backlog in the education. “Once the BCC expansion is finished, it will be able to accommodate thousands of indigent college students given that 4 school buildings will be constructed and a gymnasium,” Rojas said. “If other cities in Negros Occidental have coliseums and ours is only the Bays Center, why is it that Bacolod City cannot have its own coliseum? Sports and large convention venues are also necessary considering that Bacolod is a highly-urbanized city and that we are among the top choices in hosting major events. Given also that the city gives its sports program a priority,” Villaflor also pointed out. For her part, Gonzales-Pallen said that various roads and bridges will benefit the entire city as major infrastructure development projects will be materialized like the rehabilitation of the Mansilingan-Handumanan-Felisa road, the construction of the Vista Alegre-Granada bridge, the construction of the Gonzaga Bridge in Barangay 27 and Taculing, the reconstruction of the Lacson Extension Bridge at the back of the Goldenfield Commercial Complex in Barangay Singcang-Airport going to Alijis, developments also of the Shopping Hilado Road and other major thoroughfares of the city. Sy said that as the chairperson of the committee on public works he is aware of the flagship infrastructure projects for he was always invited during hearings in the Clark Development Corporation and the technical working group and he found them to be beneficial since it will contribute so much in addressing the needs of the continuously developing Bacolod City. Palermo also explained that she voted for the approval because the projects are all for the welfare of the City and that for several deliberations in the council, nothing irregular was found. Palermo also conformed to the point that the relevant laws on the matter are properly applied and those who voted like him, observed utmost diligence in making sure that the loan will be advantageous on the part of the City. Orola said this was not made overnight. Instead, this is a product of thorough discussions and in-depth debates in the council. “It is unfair to say that we had railroaded it,” he said.